Closing an annuity has many consequences that must be considered. 2. Do I Have to Set Up Annuity Withdrawals Since My Account Is Entirely in an IRA? Closing an annuity will result in financial consequences that may dramatically affect how much money you receive in the future. Several factors should be considered before you decide to terminate an annuity. You must understand the potential taxes and penalties associated with closing your account. 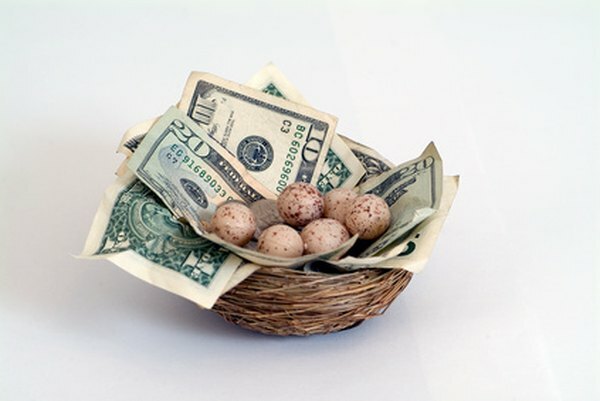 Deposits into annuities that are held within an IRA or employer-sponsored retirement plan are tax deductible. These are called qualified annuities and are subject to contribution limitations and eligibility restrictions imposed by the Internal Revenue Service. Deposits into annuities purchased directly from an insurance company and not held in an IRA are not tax deductible, nor are they subject to any limitations or restrictions. These are called non-qualified annuities and may be purchased from any insurance company. Your age at the time you surrender an annuity could result in penalties imposed by the IRS. Regardless of whether your annuity is qualified or non-qualified, at least a portion of the money within the account is untaxed. If you are under age 59 1/2 when you close your account, a 10 percent early withdrawal penalty will be assessed on any untaxed money you receive. Before you close an annuity, it's important to determine if the account is still subject to surrender penalties. Annuities must be held for a specified duration, often ranging from 4 to 10 years. If you terminate the annuity before the end of the surrender period, the insurance company will keep a portion of the account balance. Typically, annuity surrender charges range from 7 to 10 percent and decrease annually until finally disappearing. When you close an annuity, you may choose to receive the money in a stream of guaranteed payments rather than a single lump sum, which is called annuitization. By converting your annuity in this manner, your account is closed and access to any remaining principal is unavailable. Depending on whether your annuity is qualified or non-qualified, the distributions received will be either fully taxable or only partially taxable.